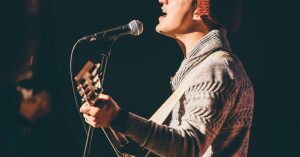 The first kind of worship leader is all “zen” (in a Christian sort of way, of course). But you know that chill attitude will turn hot and frantic quick when something in his ministry goes utterly sideways. 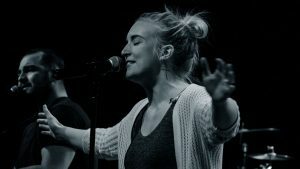 So I’m not sure which worship leader you most resemble, but if you’re like most of us, probably the second or third. 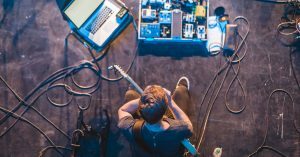 These five reasons are certainly not the only reasons a worship leader would be stressed out. But I chose these five because they share a similar connection (which we’ll talk about at the end). So let’s find out five reasons why you might be stressed out. And make sure you read to the bottom, because I want to give you some help (for free) if you find any of these reasons fit you. 1. You’re in a weekly crazy-cycle. As a worship leader, so much of your job is about meeting the urgent demands of Sunday (after Sunday after Sunday after Sunday). And every week you get through “this Sunday” just to find that another one is only six days away (and demanding all your time…again). Does that sound about right? That’s the weekly crazy-cycle. And it’s stressful. 2. You’re building the airplane on the way down. 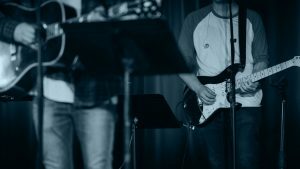 There are things you often do in ministry, but not often enough to get in the groove. So you don’t ever create a clear-cut process. A great example is qualifying a potential new team member. Every time a new person comes through, you’re recreating the process differently each time—how you interview or audition, what songs you use, which team members/leaders are involved, what questions you ask, etc. It’s like you’re jumping off a really tall cliff and trying to build an airplane on the way down. and do it differently each time. “Building the airplane” (your processes and systems) is part of the work of ministry. But it’s always a little more stressful when you’re heading towards the ground at terminal velocity. 3. 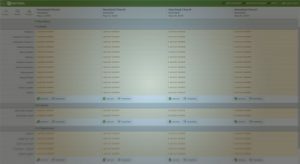 Your team is missing a step in the prep process. You have some team members who come to rehearsal with their songs down—they rock it. But others, not so much. These latter team members treat the rehearsal as their own personal practice time. And because of that, they don’t musically engage with the rest of the band. And when are they ready to work out the music together as a team? During the Sunday morning sound check and warm-up. But that’s when you’re supposed to be just polishing the songs and segues. As a result, the first service is rough. But things go better in the second service. I know—you so want to punch him in the forehead. Don’t do it. That would just make this stressful situation even tenser. And probably hurt your hand. 4. You aren’t equipping leaders, you’re enlisting substitutes and assistants. True leaders working alongside you take ownership—they share the burden and give you encouragement. 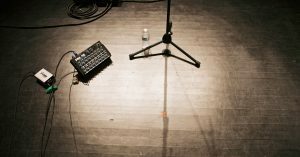 But too many worship leaders treat their potential leaders as assistants(people who just help with the tasks of ministry) or substitutes (they’re “fill-ins” when the “real” leader is gone). Equipping leaders is hard, but leading with the stress of only having assistants and substitutes is harder. 5. Your written values don’t match your real values. You probably have some sort of document that states your values and/or expectations of being a part of worship ministry. You might even have a covenant or agreement that all your members sign when they join the team. And that’s good. The current culture of your team doesn’t match the desired culture of your dreams. And that’s stressful. You see the potential in your team to be amazing. But they keep settling for just average. So, any of those reasons resonate with you? I’ve been there with all these issues. And I’d love to offer some help. All these stressful situations (and plenty of other ones) are mainly because we just haven’t built healthy ministry systems in the critical areas of your worship ministry. So I’ve got a free resource that can help you understand why systems matter, what the critical ones are, and how they can make your ministry way less stressful. The free resource is an email course called Build A Less-Stress Worship Ministry, and I’m opening up another round of it this next Tuesday. 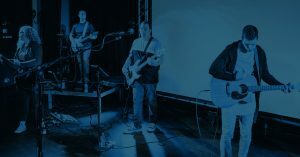 Build A Less-Stress Worship Ministry is a three-lesson “mini-course” that will help you find practical ways to transform the current culture of your team into the preferred culture of your dreams—that is, the kind worship ministry you know your team has the potential to be. You can learn more about it and sign up for it here. So let me hear from you below in the comments. Which of these is the biggest stressor for you? Or is there another issue? Let me know in the comments below.